It's been ten years since the Nissan GT-R R35 was launched and every engine in it has been handbuild. Nissan explains in this video why they do so. 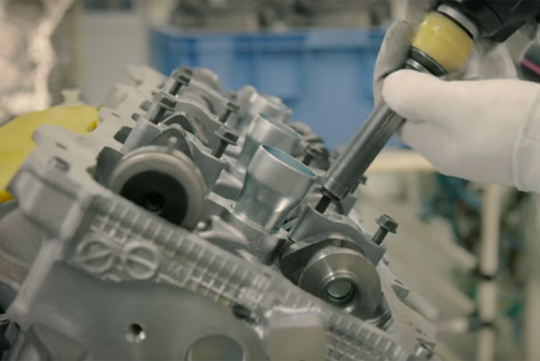 According to Nissan, each 3.8-litre twin turbo V6 is assembled by one of the five Takumis who are masters at engine building. These guys have more than 100 years of experience between them and have been trained to install and and inspect parts with precision. Team lead Takumi Kurosawa oversees the team that assembles the powerplant in the 'clean room' of Nissan's Yokohama plant. Every VR38DETT takes about six hour to put together and whoever is in charge of building the engine gets to put his name on it. And many owners tear the engines apart again to let aftermarket garage mechs put it back together.